SIZE: 16,027 Sq. Ft. / 1,489 Sq. Mtr. 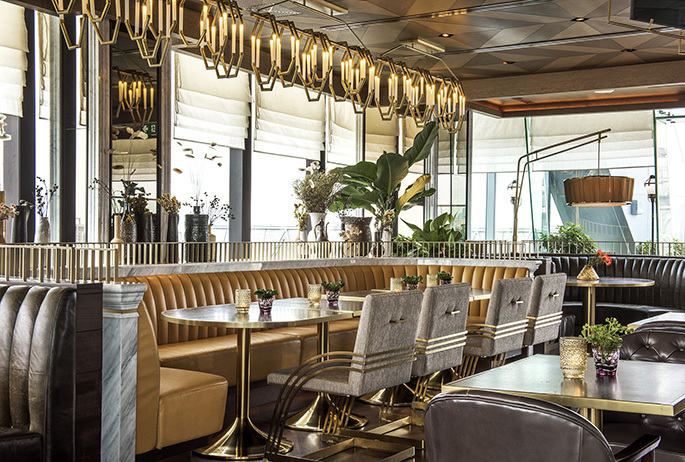 Housed in the former British Embassy in Bangkok, AvroKO was commissioned to envision the five separate food and beverage venues, known as the Penthouse Bar & Grill, across the upper three floors of the Park Hyatt Bangkok. 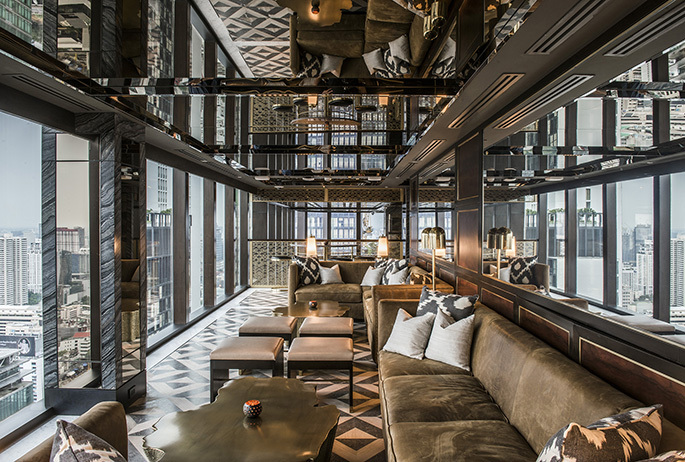 While each venue is distinct and has a unique design perspective, the goal was to create one large penthouse space with seamless transitions to each venue. 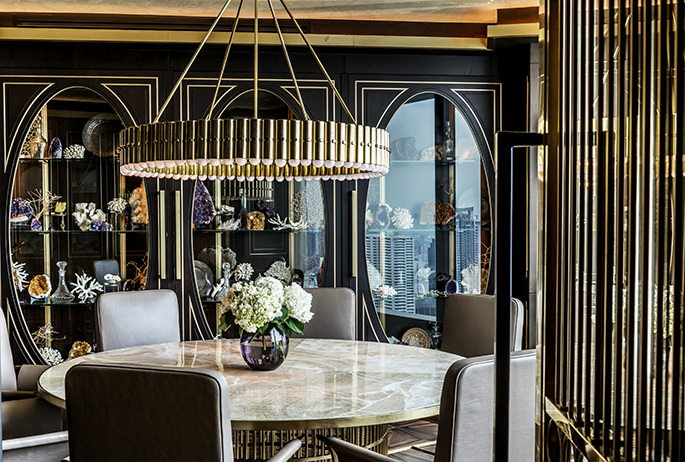 The design centered around a fictitious muse – a Thai-British man who is a collector and purveyor of fine arts, ceramics, and vintage car racing relics – alongside inspiration from British fashion and the lavish penthouses found in Chicago and New York. 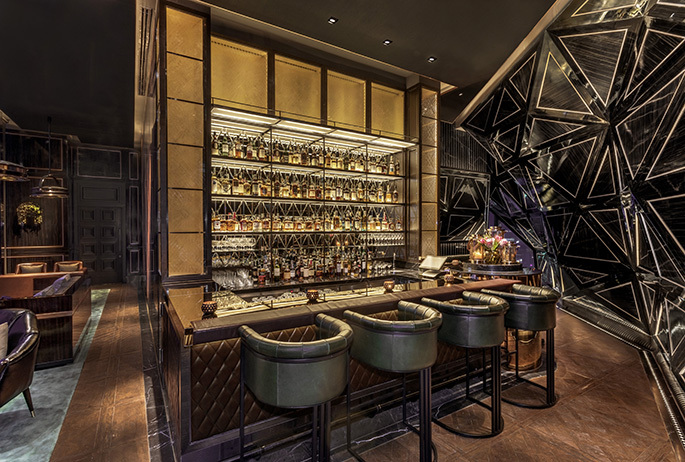 Guests arrive on the 34th floor and are guided down a long, moody corridor lined with 3D and 2D art as well as sweeping views of Bangkok. 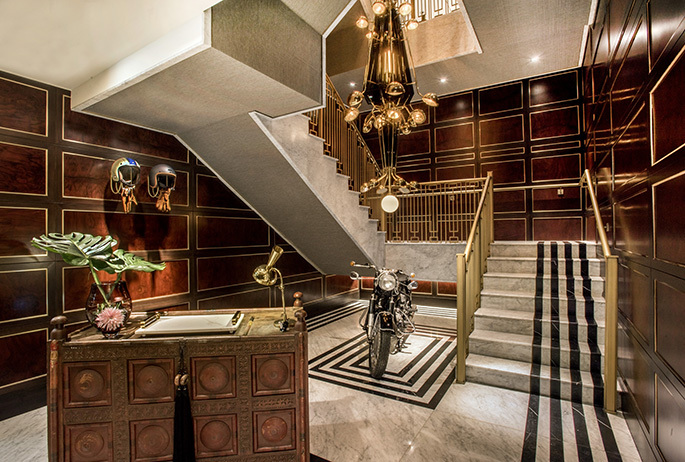 They arrive in the restaurant, anchored by an open kitchen, and are greeted by a grand staircase with racing-stripe black and white marble featuring an opulent custom chandelier designed by AvroKO and a vintage motorcycle. 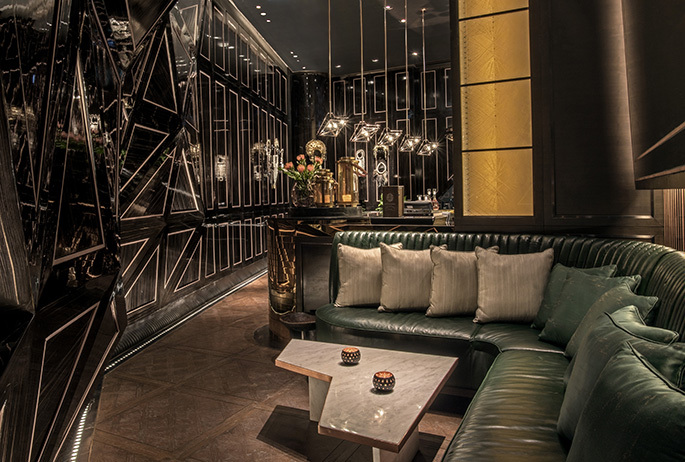 The staircase leads guests to the other venues including the cocktail lounge featuring an integrated DJ booth as well as intimate seating areas with luxe screens and layered lighting. 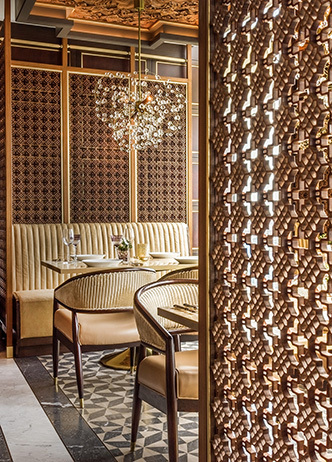 The speakeasy is home to a “shattered” wall art feature, which layers multiple planes of Macassar ebony at different angles creating the shattered effect, which is further accented with copper detailing and lighting. 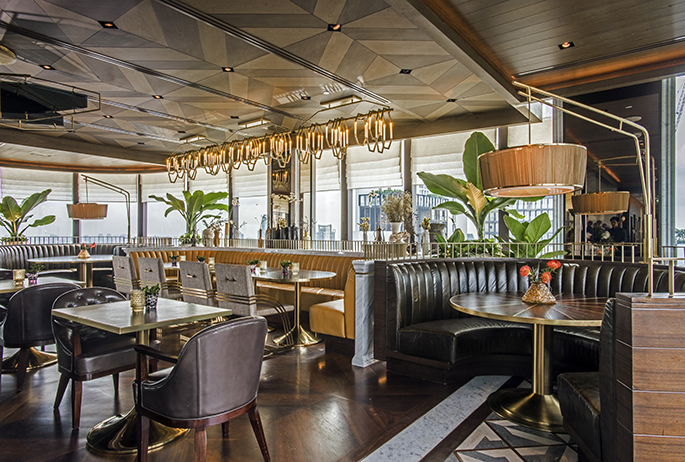 The rooftop bar features custom-designed trellis’ and the PDR in the restaurant is home to a wall-length cabinet holding a collection of precious and semi-precious stones. 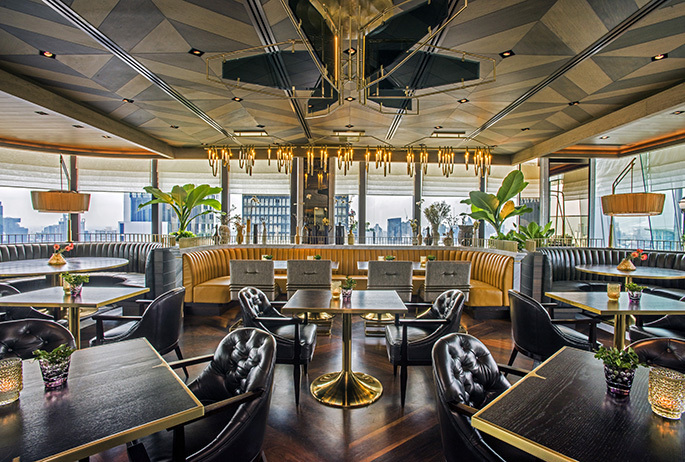 "A stirring new take on the giddy heights of good living has arrived in Bangkok"
"We’ve had nothing but praise for the showpiece bar at the Park Hyatt ever since it opened in 2017. 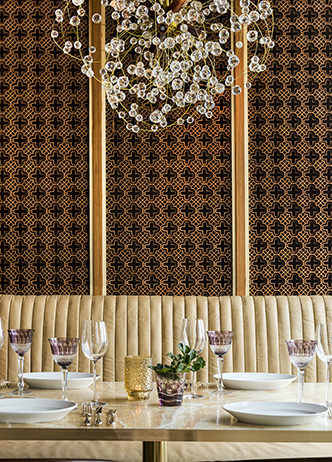 The interior is stunning. 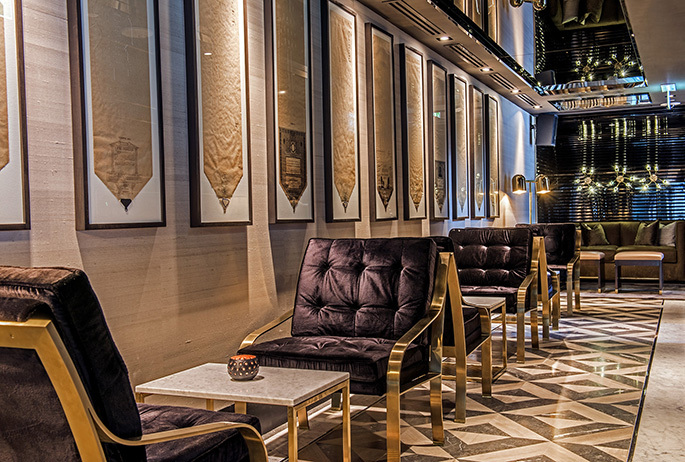 The drinks are the right price and don’t skimp on the premium stuff. "